Whenever an iOS dungeon crawler invokes the name of Diablo, fans have a tendency to perk up and listen. Unfortunately, games that tend to use that kind of name-dropping rarely deserve to be mentioned in the same sentence. 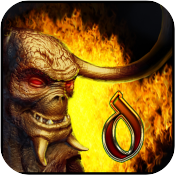 Such is the case with Deprofundis Dungeons ($1.99), the latest dungeon crawler to hit the iOS scene. While the game has one or two interesting ideas, Deprofundis falls flat in presentation and gameplay, removing any desire to play it. As a dungeon crawler, most of Deprofundis could be classified as mediocre. The story is nearly non-existent, with the tale placing the player in the role of a guard captain trying to figure out what has happened to his king and country. Deprofundis also lacks the short-term quest structure that keeps gameplay moving, instead forcing players to wallow about in nondescript dungeons, gaining levels and finding loot until they can eventually take out the bosses. While that’s typically the crux of a good dungeon crawler, there are a lot issues that make it the game’s weakness rather than its strength. First off, the actual dungeon crawling gameplay is incredible slow. Heroes and enemies are sluggish, melee attacks and spells take way too long to unleash, and the game’s inventory management and shop system is unintuitive. In addition, the game’s controls are slow and its virtual buttons are tiny and occasionally unresponsive on smaller iOS devices. One of the few things I thought that Deprofundis actually did well was its loot system, which was highly randomized and featured tons of possibilities. Unfortunately, the stats were mostly unexplained and left the player not really understanding which were better for which heroes. If you can get past the above, you’ll also find that when taking on the hordes of baddies enemy strength is pretty unbalanced. Range and spellcasting enemies do far more damage than melee attackers of similar levels. Thankfully players can actually avoid projectile attacks with relative ease, but I felt the penalty for getting hit was way too harsh proportionally. While the overall gameplay is pretty lackluster, Deprofundis does have some interesting ideas for character development. For example, character classes have a pretty robust talent/skill system, with a variety of trees and different moves to learn. While talent points are earned with each level up, characters have to actually buy or find the skills out in the wild. Considering how expensive skills can get, this aspect of finding new moves in loot was an idea I liked. Unfortunately, the few mildly bright spots of Deprofundis don’t shield it from its worst offenses: game crashes. I encountered game crashing while trying to log into their server, and at random times while playing. While the game does a good job of autosaving, and I never felt like I lost progress, it was still highly annoying and really shouldn’t be happening in the first place. A recent update looked to rectify these types of issues, with varying levels of success. In some ways, I suppose Deprofundis Dungeons had it coming when it tried to compare itself to Diablo to try and garner downloads. 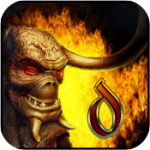 Unfortunately, not only is Deprofundis nowhere near that level of quality in a dungeon crawler, it doesn’t even cross the threshold of being a decent game in the genre. True, there’s a few interesting aspects to the game and it implements a few gameplay ideas adequately, but the rest just isn’t that good. Don’t listen to the game’s marketing speak and simply stay away. Ever wanted to play a true hack'n slash on your device ?